We had a lie-in today, there was no early morning walk! We met at 7am for breakfast having already packed our bags in readiness for our departure immediately after we had eaten. It was another beautiful sunny morning, but it was cold, a mild ground frost covered the lawns of the hotel. The 10km climb out of the valley took us into warm sunshine and onto the Pan-American Highway. We turned off shortly afterwards onto a dirt road and began our first birding of the day. We had three main target species there and within 30 minutes we had seen all three of them really well. 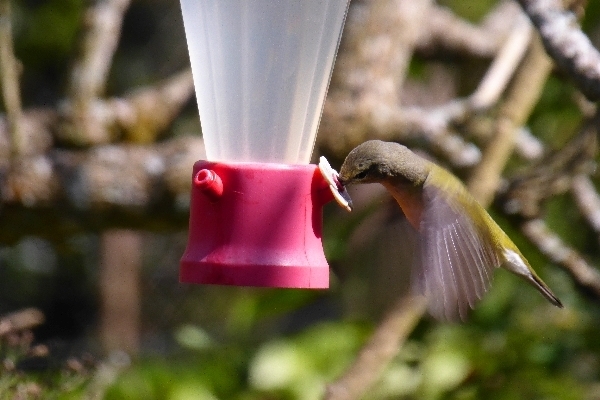 The first was a hummingbird, the Fiery-throated Hummingbird. What a beauty, if the light caught its throat then a stunning array of colour would emanate from it. Next came the Black-and-Yellow Silky-Flycatcher, two of these sought-after birds showed reasonably well for all of us to see. Lastly the Timberline Wren became our most wanted species, they are usually ‘skulkers’ and are very hard to see, but not today! Two of them popped out in full view and very close to us, amazing. 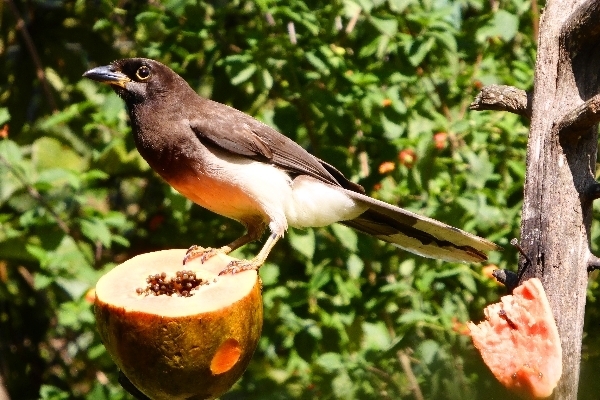 Other species seen during our walk were Black-billed Nightingale-Thrush, Sooty-capped Chlorospingus, Long-tailed Silky-Flycatcher and several common species. We then spent a couple of hours in the bus stopping once for toilets and refreshments and stopping at a road-block where Parents were demonstrating outside a school about a teacher they wanted sacked! It cost us nearly an hour but we got through. Before lunch we visited a private coffee plantation where we were given the complete tour and free coffee afterwards, of course most of us bought quantities of coffee on the way out. 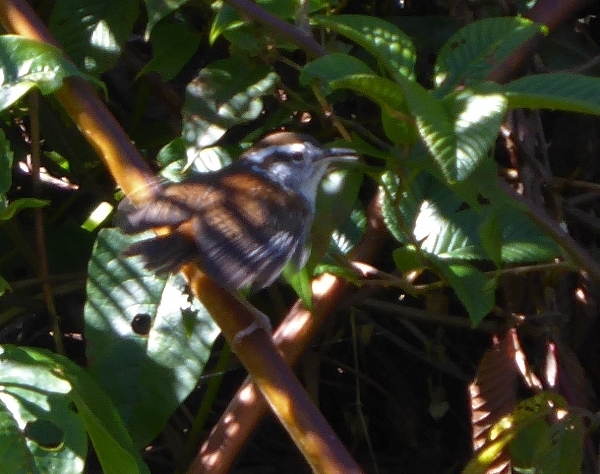 We added one new species at the plantation, the Plain Wren (which has now been split into three species, we have already seen the Isthmian species and today we saw the Cabanis's version). Our lunch was taken at a restaurant at Ujarras where we sat and ate in a large garden full of bird feeders, it was fantastic, the birds we just a few meters from our lunch table. 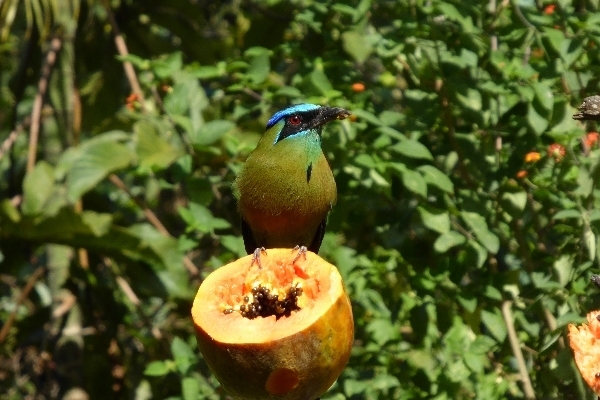 We had excellent close views of many species including Blue-crowned Motmot, Summer Tanager, Greyish Saltator, Rufous-capped Warbler and many common species. 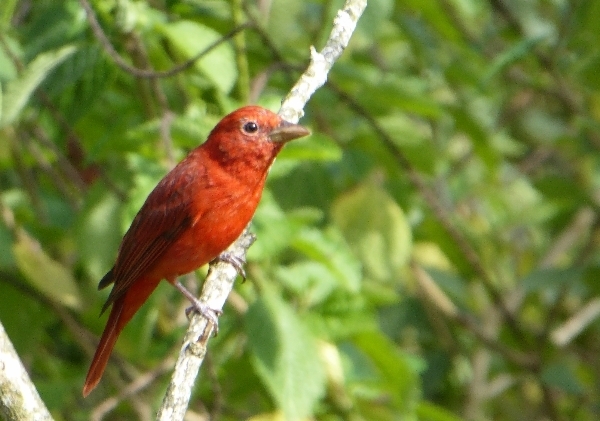 We added White-lined Tanager and searched for the Garden Emerald which is a speciality of the area but we failed to see one. So, we took a little walk to a wild flower bush and saw the Emerald there, job done. For the next hour we searched the local tracks for the endemic Cabanis’s Sparrow (formerly thought to be a subspecies of Prevost’s Ground-Sparrow but now given species status) without luck, we see Lesser Scaup in good numbers on a lake we overlooked from the track. We then set off for our next hotel near Orosi, making one final stop at the Embalse Cachi near Orosi. We found a Least Grebe there as well as Little Blue Heron, Snowy Egret, Great Egret, Wood Stork and a Muscovy Duck. We settled into our rooms at 5:30pm and met up for dinner at 6:45pm, our bird-log didn’t take long to complete, we had only seen 69 species today with just 13 new species bringing the total to 455.